The UK newspaper The Guardian looks to interested in expanding beyond their existing podcasts and getting more attention from the listening public. They've just announced a new partnership agreement with Audible UK. 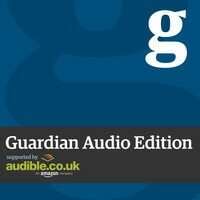 The Guardian launched a new podcast yesterday, one which it is distributing via Audible. The Guardian Audio Edition will be an hour long weekly podcast focused on news, and it will "showcase the very best of news, culture and opinion pieces as published in the Guardian each week". This podcast will also feature reviews of audiobooks available Audible UK. The reviews segment will be hosted by Claire Armitstead, the books editor at The Guardian, and will included invited guest reviewers as well as Guardian books writer Richard Lea. The new podcast will be available for free, and you can find it in iTunes, on the Guardian website, Audible.co.uk, and Soundcloud. The first podcast was posted yesterday.